At assisted living facilities, senior citizens can enjoy a suite of services designed to uphold quality of life. In choosing a facility, seniors expect access to 24-hour personal care, nutrition services, social contact, security, and specialized support services while maintaining their independence. Knowing this, residential care providers do well to offer key services that cater to the unique dynamics of the community, going beyond the standard services of the industry, as state laws permit. With the growing need for Alzheimer’s care among the elderly, the right support services are needed to monitor their activities. The most valuable service a residential care facility can offer these families is skilled care. Trained hands help nurture loved ones with mental disabilities, providing 24-hour general monitoring, seven days a week. Requests for care of obese elderly seniors have sky-rocketed over the last 17 years. The National Institute of Health (NIH) ranks the percentage of seniors who are obese at nearly 25 percent in 2010 from 14.7 percent in 2000. To prepare for this bourgeoning trend of heavier seniors, residential care facilities will need extra staffing, specialized equipment, and additional beds. Social activities help connect senior residents to other members within the facility, which helps to prevent loneliness as residents’ commune under a friendly spot. A central entertainment area makes it easy for residents to socialize with peers. Structured activities can include: games night, dance night, cultural events, and prayer services. The hallmark of assisted living facilities is the support services they offer to senior citizens in need of assistance with daily living. Assisting residents with routine needs build trust and promote feelings of well-being among senior residents. ADL services include: hygiene care, laundry care, transportation of residents, and meal preparation. Meal times are happy times for the older adult, and a full meal service provides seniors with three main meals tailored to changing health needs. Senior nutrition service supports seniors who are unable to prepare their own meals or who need special meals to improve a medical condition. Low-carb meals best caters to residents who are elderly diabetics or who have weight-related ailments. Medication management is a highly-valued service among children of the elderly since the health state of their loved one can be compromised when prescribed doses of drugs are omitted from the regimen. A nurse might be required to administer certain medication for residents in need of higher level medical care. Direct care staff not only attend to the daily needs of seniors, but they also keep watch for their safety and well-being. 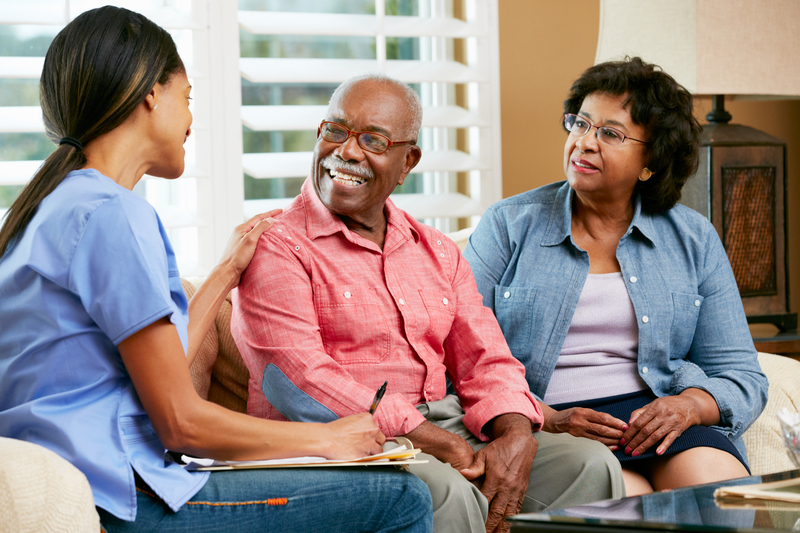 Supervised care of residents involves ongoing checks of their needs and status. This procedure helps prevent incidents from escalating to emergency episodes. Full-time direct care staff provide 24-hour supervision to ensure resident’s safety and comfort. Preventing unauthorized access unto the premises is critical to business operation. Standard safeguards include a 24-hour security surveillance system, accurate records of visitor’s flow through the premises, and staff displays of company ID. Senior residents and their loved ones should have the reassurance that safety on the premises is the number one priority. Transportation services can be used to assist residents with both leisure activities and emergency care. At discretionary times, residents can leave the facility to visit shopping malls, beauty parlours, banks or postal services. In life-threatening scenarios, a property vehicle serves as an emergency transport vehicle to transfer or evacuate residents from the property.